Shelley Bean: Painted Harvest- Sneak Peek! I decided to give you a sneak peek of a new stamp set that will be available September 1st with the new Stampin' Up! Holiday catalog. It's so pretty! 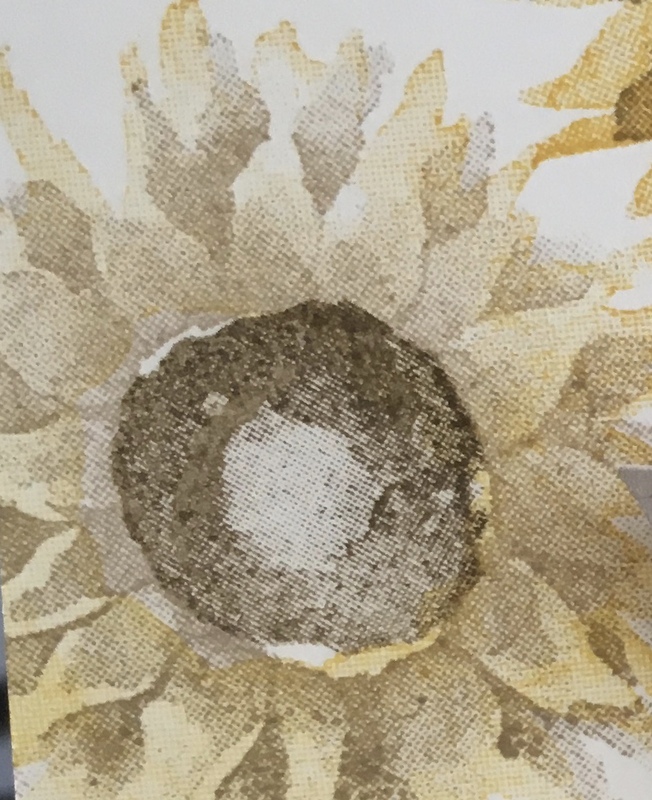 The sunflowers are easily made with a 2 step stamp process that is fool-proof. I kid you not! No hassles with lining up stamps so they align with the 2nd stamp process. They just work together and have a beautiful, realistic appearance. The stamp set also has a beautiful 2 step stamp for the leaves. I opted to not use it on the card I made for today, but it is lovely and there is a coordinating leaf punch that can be purchased either separately or is a bundle for 10% off. Also, included is a 2-step acorn, ferns and 3 sentiments. It's a gorgeous set. I LOVE it. I think you will too. In the stitched circle that cut out with the BigShot, I heat embossed this sentiment that I pulled from an old favorite stamp set, Watercolor Wings. 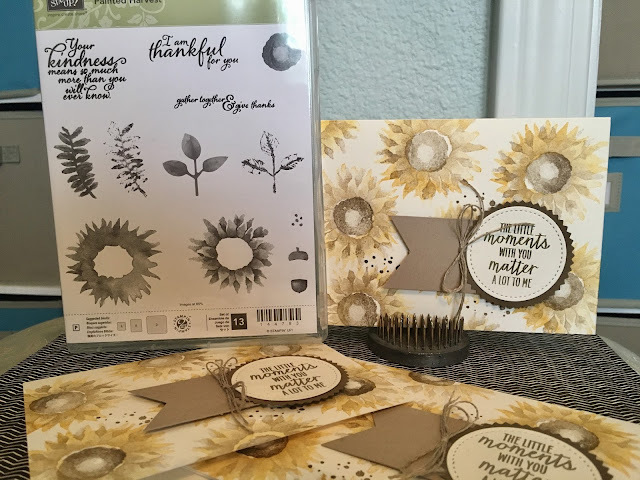 The new Sunburst punch backs the sentiment and is layered on a banner I created with the Triple Banner Punch. I thought I would show a close-up of these beautiful flowers. I used crushed curry and Crumb Cake for the petals and Soft Suede for the centers. So much fun. I made 30 of these cards for a swap I am in this month. They were pretty simple to make up and so much fun to stamp. All of the supplies used are listed below. Remember though, Painted Harvest will not be available to purchase until September 1st. If you would like to have access to the holiday catalog, please let me know!